An experienced mesothelioma law firm in Boston will carefully review your case for causation and to identify all liable defendants. Identifying defendants is often the most complex and critical step in pursuing civil litigation for damages in these cases because mesothelioma has a dormancy period of 25 to 40 year. Most of those diagnosed with the deadly cancer were exposure decades ago. In many cases, mesothelioma litigation has pushed companies out of business. In those cases, mesothelioma bankruptcy trusts may have been established to pay future victims. The hardest cases are those where point of exposure is undetermined. But studies continue to show that no amount of exposure should be deemed safe (safe exposure level is among the chief arguments of defense counsel in these cases). In fact, a recent study conducted in Broni, Italy, where an asbestos cement plant operated from 1932, to 1993, found a significant number of those who died from pleural mesothelioma did not work directly with asbestos, suggesting no amount of exposure is safe and further bolstering the case for those who died from second-hand exposure, including immediate family members of those who worked with asbestos. A spokesperson for the company said it looks forward to responding to the request for information, and cited “thousands of independent tests,” including those conducted by the FDA, as proof its talc products were safe. To date, Johnson & Johnson faces more than 11,000 lawsuits claiming its talc products have caused cancer, including mesothelioma and ovarian cancer. Our Massachusetts mesothelioma lawyers continue to watch this litigation closely. As has happened during litigation against Big Tobacco and Big Pharma over the opioid crisis, the initial cases that make it to trial often force guilty corporations to release thousands of incriminating documents, which in many cases all but seals a company’s fate when it comes to liability. In fact, this is among the major incentives for liable corporations to settle such cases short of trial. In many cases, they can avoid proving their own liability while also avoiding the headline-grabbing jury verdicts that are a direct result of their unquestionable guilt and utter disregard for the health and safety of the public. Johnson and Johnson continues to sell its talcum powder and other products to U.S. consumers. CNBC reported last week that talcum powder liability continues to weigh on the company’s stock. However, it topped fourth-quarter financial estimates, in part because of booming sales of several cancer drugs. In other words, the payoff has thus far been worth the crime. The case that revealed the latest documents resulted in more than $4 billion in punitive damages being awarded to 22 women in their families. 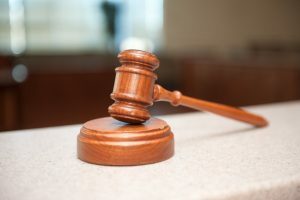 The verdict is among the largest personal injury awards in history and was upheld by a circuit court judge in Missouri. Such verdicts do not happen by accident; they are a jury’s reaction to overwhelming proof of gross negligence on the part of a defendant. The New York Times reports J&J has subsequently lost a motion to reverse the $4.69 billion jury verdict, which involved women who blamed ovarian cancer on asbestos-contaminated talcum powder, and was filed on behalf of 22 women and their families. However, Johnson & Johnson’s aggressive and world-class legal defense has also won some cases. The New Jersey Law Journal reports a jury took just 30 minutes to find in favor of Johnson & Johnson, ruling its baby powder did not cause a woman’s mesothelioma. The New Jersey Law Journal reports 4 of the 12 trials alleging Johnson & Johnson’s talcum powder causes mesothelioma have ended in mistrials. Such statistics highlight the need to trust your case to a law firm with substantial resources and a track-record of success in these cases. These cases often involved some of the nation’s largest corporations, where the cost of world-class defense is factored into the cost of doing business. Only once Johnson and Johnson’s liability is clearly established, and the financial consequences of its aggressive defense strategy becomes untenable, will the company’s many victims and their families prevail in their pursuit of justice.